SANTA MONICA, CALIFORNIA, UNITED STATES, April 3, 2019 /EINPresswire.com/ -- Expert Dojo, Startup Accelerator in Santa Monica, announces that it has provided initial investment to CarmaCam™, an app developed to save lives while improving traffic congestion and helping make the streets safer from bad driving incidents. 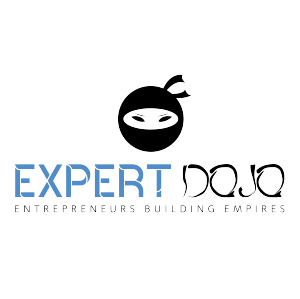 “We’re happy to have partnered with expert Dojo to get this app off the ground. CarmaCam™ already has several projects in various stages, and have several interested prospects contacting us to help with their traffic congestion, scooter, and general mobility and traffic issues,” said Rob Rappaport, CEO of CarmaCam™. uses a proprietary method of recognizing and reporting bad and/or illegal driving and parking in prohibited areas. In addition, CarmaCam™ is working with the cities of L.A., Santa Monica, Glendale, and Santa Ana to provide documentation of illegal and/or prohibited scooter use. Using a combination of Machine Learning AI and human supervision, CarmaCam™ is able to record incidents of bad driving and use the data to improve traffic flow and general driving safety. “The app is free to use, and may be downloaded for both Android and iOS,” reiterated Rappaport. CarmaCam™ is currently tuning up and finishing the App for the official release so that they can start to help make the roads safer for everyone. “Expert DOJO are so pleased to be able to able to invest in CarmaCam™. We believe that CarmaCam™ will be one of the most significant breakthroughs in local Government both to increase city revenue and save the lives of residents all over the world. We are proud to have CarmaCam™ as one of our portfolio companies,” said Brian Mac Mahon, Founder of Expert Dojo. CarmaCam™ is a traffic safety app dedicated to saving lives, decreasing injuries, and helping to improve the way people drive. For more information visit their website, www.carma-cam.com.